Can You Remember The Words To “My Favorite Things”? 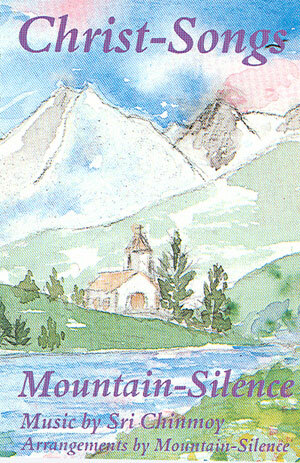 It’s the girl group Mountain-Silence performing a medley of songs at a church in the town of Zermatt, nestled at the foot of the Matterhorn in the Swiss Alps. Everything is very monastic and nunlike, but if you listen carefully you’ll realize that the nuns are singing in Bengali! They’re students of the late Indian spiritual teacher Sri Chinmoy, who composed the songs. The third song in the medley (at 4:00) is “Jishu Avatar,” a song honouring Jesus and Mary. My personal opinion of Jesus Christ is that he is God’s Son. If you feel that he has not achieved anything, unfortunately I cannot see eye to eye with you. On the strength of my own realisation, I know that he is a real Son of God and a real world-Saviour. He was God-realised and fully illumined. He had a heart full of compassion; his heart was a flood of compassion. He was, he is and he will always remain a Saviour to mankind. When I look at Mountain-Silence, I see souls who are drawn to meditation and Eastern philosophy, but who also have tremendous devotion to the Christ. This is reflected in their music and pure lifestyle. They’re a living embodiment of what religious freedom looks like, for they could not exist in a world which is rigidly secular, or rigidly Christian, or rigidly Hindu. Religious freedom is ultimately the freedom of the soul to express itself with subtlety and grace. Special thanks to videographer Kedar Misani and to Mountain-Silence. The song “Jishu Avatar” is from their album Christ-Songs. 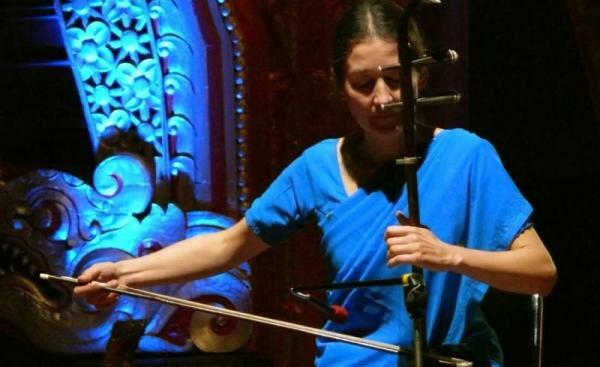 Listen online for free at Radio Sri Chinmoy. 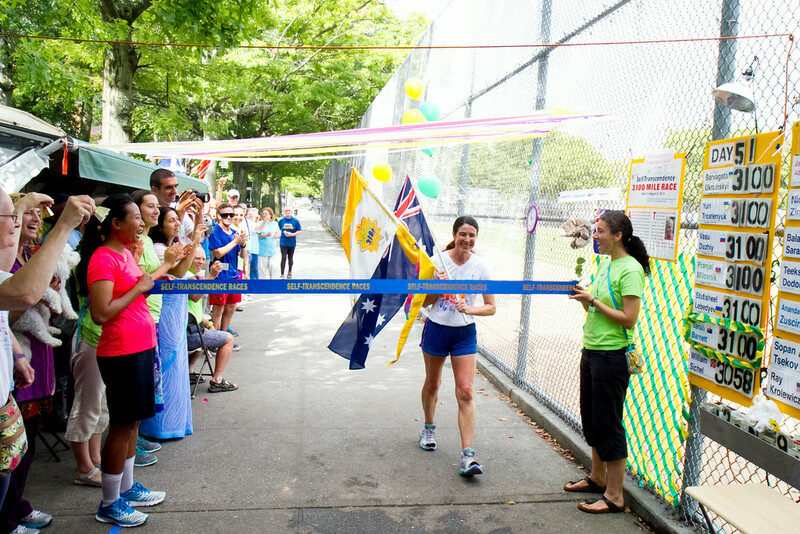 Sarah Barnett, 37, from Adelaide has won the world’s longest certified race for the women in the Self-Transcendence 3100 Mile Race sponsored by the Sri Chinmoy Marathon Team in New York. In the 18 year history of this race, which The New York Times called “The Mount Everest of Ultrarunning,” only two Australians have ever finished the race before and both were men. Sarah is the first Australian female to complete this epic race. Sarah went through 16 pairs of shoes during the race!!! After 50 days and 3 hours Sarah crossed the finish line nearly 100kms ahead of the two other women (from Russia and Austria) in the race. In a field of the world’s greatest and most accomplished ultra runners on the planet, Sarah’s performance was the second best performance by a female in the 18 year history of the event. She averaged 99.460km per day – this is simply phenomenal. The 3100 Mile Race is held on a 883 metre course around a school perimeter in Queens, New York. To finish within the 52 day cut off, each runner must run a minimum of 60 miles (96km) a day average, which is 5649 times around the course. They run from 6am to midnight every day. Sarah finishing her 3,100 miles in just over 50 days. WOW. Sarah is not one of those names in our ultra running circles that springs to mind immediately. She’s quiet, unassuming and goes about her business, yet I’d say she is one of Australia’s most accomplished female multi-day race runners, having won events in Morocco, New York, Sweden and Greece amongst many others. There’s always a point of debate as to where this kind of racing ranks on the scale of ultra running. Is say, a fast 100 miler with plenty of mountains such as Hardrock ‘tougher’ than running 100kms a day for 50 days? The simple answer is that both disciplines have their place in our sport, and both should be respected for their diversity, which is what makes ultra running awesome in my book. On a personal level, this type of racing is not for me (yet! ), but I have the most immense respect for those people who do this type of running. I believe the 3100 to be one of the toughest races on the planet, not just because of the physical undertaking, but the mental focus that’s required for 50 days. Completing this type of event is utterly life changing. You’re encapsulated in a bubble for 50 days, running around a block that becomes your sole focus for a month and a half. Some people may call it crazy, I call it immensely disciplined and astounding. For Sarah, this is her second attempt at the race. Last year she entered and covered 2573 miles (4,116kms) within the 52 days. She has been extremely consistent throughout the race averaging 61.70 miles (nearly 99kms per day) and shown tremendous improvement from last year’s attempt. 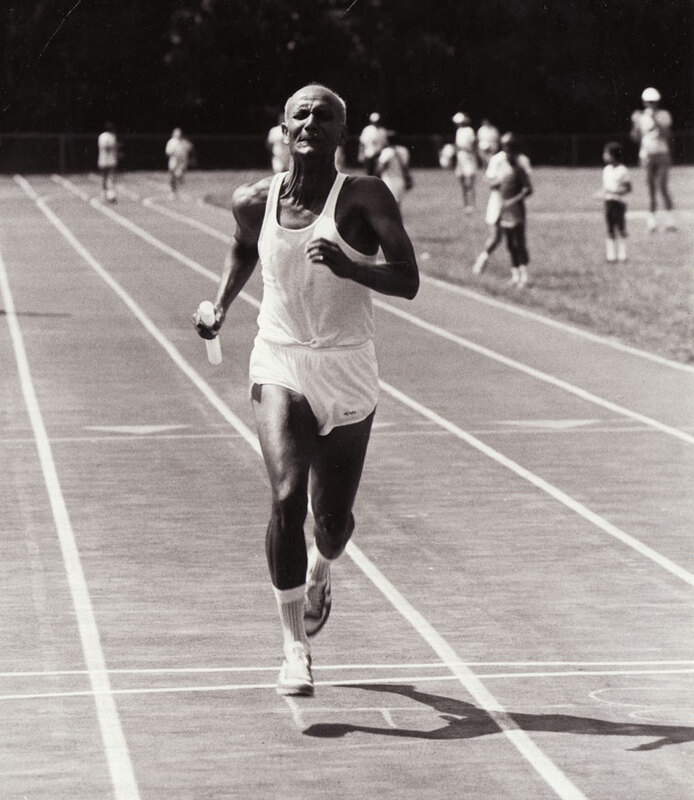 The late Sri Chinmoy, a spiritual teacher, who was an accomplished musician, artist and champion athlete himself, founded this race. Sri Chinmoy believed that within each human being there is unlimited potential and goodness. He is the inspiration behind many world-class running events hosted throughout the world by the Sri Chinmoy Marathon Team. 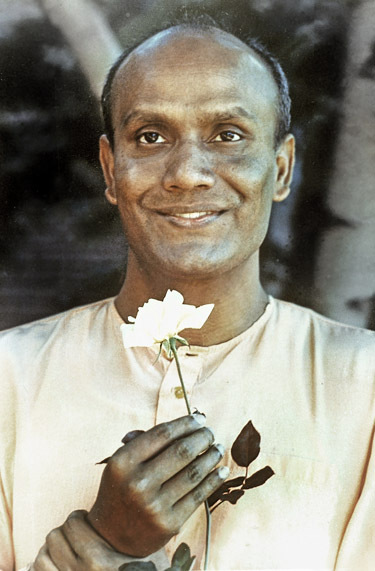 “We are all truly unlimited if only we dare to try and have faith,” said Sri Chinmoy. The men’s winner, Sarvagata Ukrainskyi, from the Ukraine finished in 45 days. Special thanks to Dan at Ultra168 for this story. After a leisurely run of 3100 miles, Sarah Barnett is serenaded and congratulated. She deserves it! What is freedom of heart, and how does it differ from freedom of mind? Are the two compatible? Should we follow our hearts? In Part 4 we talked about various methods used by oppositional groups to abridge the civil rights granted by the U.S. Constitution, and by laws guaranteeing freedom of choice in spiritual matters. Some of those tactics include spreading alarmist misinformation, or attempting to portray minority choices as unethical, irrational, or even criminal. Yet, the many spiritual groups which dot our land are part of America. They do not lie outside her borders, and participating in them can be an ethical, sensible, and (dare I say?) joyful choice for someone who feels a genuine spiritual calling. Many people inherit secular beliefs and values by default and accept them unquestioningly. But of course, the whole point of laws guaranteeing religious freedom is that they’re there to protect minorities from maltreatment at the hands of aggressive majoritarians. An analogy to freedom of speech can be made in that the latter is hardly tested by walking down Main Street at high noon whistling “The Star-Spangled Banner.” Free speech is only tested when one whistles a less popular tune or acts in some unexpected way, such as opposing a popular war. The attempt to crack down on unpopular views and unpopular religions often entails looking for some excuse — some way of redefining matters so that the crackdown no longer appears as an affront to human rights, but rather as a necessary imposition of social control. The reason some Commonwealth nations (such as our next door neighbour Canada) have passed laws against religious vilification is that they rightly perceive such vilification as leading to religious persecution (which historically it has). First come the angry denunciations, then come the townsfolk with flaming brands to burn down the convent, synagogue, mosque, or temple. In Part 4, after exploring the question of whether faith arrived at by nonrational means can be moral and ethical, we closed by noting that mystical experiences play an important role in many spiritual traditions; and while mystical experiences are themselves nonrational, they’re often explained within a larger philosophical framework which is rational and consistent. Thus, many living, vibrant spiritual traditions can be described as practising techniques which lead to direct spiritual experiences, and as proliferating a philosophy and culture in which these experiences make sense, become comprehensible. One way of describing these conflicts is as relating to differences between “freedom of heart” and “freedom of mind.” The latter has become a cornerstone of Western democracies, but the former is sometimes thrown into question. One method used by anti-cultists to circumvent constitutional protections is to impose a host of conditions on faith, including the requirement that faith be arrived at through a rigidly prescribed course of critical reasoning.